The Lego I grew up with was a miniature world of colourful people, vehicles and structures. It was one of my favourite toys, and I actually had quite a lot of Lego – particularly the classic Town and classic Space series. I even had an electric train. And some of the larger Technic sets. In 2014 it seems as though the Lego brand is as popular as ever. Not only has it blended many of its releases with a range of film franchises (most notably Star Wars), it has spawned other media such as video games and even a film of it’s own. The film was such as success that more films are planned. In addition, it seems that not a day goes past without some sort of viral Lego creation “doing the rounds” on the internet. Many of today’s Lego enthusiasts are adults it seems, interested in exploring new uses for the toy. According to Forbes.com, Lego also recently became the world’s biggest toy maker for the first time – overtaking Mattel, the makers of Barbie. But despite all this success, in some ways I feel as though the Lego I once knew, the one I would spend hours and hours absorbed with as a kid, is no longer “mine” in the way it once was. Of course, I’ve grown up and don’t play with Lego like I once did. But it’s not just that. Back in the 1980s, Lego was a toy brand – a popular one, but still just a toy brand. Sometimes there were Lego exhibitions you could visit. But its place in my life was as a series of brick sets you could buy and add together. Technology has evolved a lot though, and so has marketing. Today Lego feels like a corporation that owns a brand that is being tapped for just about everything. From movies and games to general merchandise (crayons, watches, bed spreads, you name it). The brand has transcended it’s humble beginnings, and attained a level ubiquity. Whenever I see Lego branch into yet another new enterprise – games, clothes, theme parks etc, I feel similar to when I hear about a supermarket chain that now offers insurance. Why would a supermarket offer insurance? As companies grow, they sometimes branch into unrelated fields. And you start to realize that once they become huge, they will often morph themselves into anything – anything that can turn a profit, that is. I’m certainly glad the Lego company never died off like so many other toy brands. But sometimes I wonder if Lego is also headed for over-saturation. Surely there’s a middle ground between the two? Amidst this brave new era of Lego, there’s a tiny detail about the bricks themselves that has always bugged me. The two issues may seem unrelated at first, but perhaps they’re not. This was the Lego face I grew up with – simple and content. There was a certain peacefulness about these toys. Their world was about function, cooperation and living life in harmony with one another. It was aspirational in that nobody in a Lego village looked less happy than anyone else – the road worker, the astronaut, the fisherman – each had a function in society and was happy to fulfill it. Nobody was at war or upset. Perhaps it was unrealistic, but it was idyllic. And as a kid, Lego always gave me the feeling that when you grew up, you could be and do anything you wanted. Every job, every occupation, had it’s place. And everybody was equal. But just as the company has now gone somewhat over-the-top with it’s overall brand image, the faces of most mini-figures seem similarly overblown. There was a certain safety in the design of the simple, original smiley face. Nobody could mistake it for anything other than what it was. But by adding “character” to the figures, not only do the faces often look stupid, they’re open to interpretation. Apparently this is what people want? I’m sure Lego have volumes of research to back up the decision to make some of their figures look this crazy. But in some ways, I would argue that these overblown figure styles are the antithesis of how many people (still) see Lego. Despite the stupidity of the mini figures, Lego still make a lot of really interesting and attractive sets. And what’s more, a lot of them have a certain retro feel to them. In fact, “certain retro feel” is sometimes an understatement. It makes sense really. Not only did Lego gain a legion of fans in the 1980s. It’s a toy about blocks. And the 1980s were filled with blocky, angular designs – from the cars on the road, to the video games we played. You might even say that Lego is perfectly suited to the 1980s, as if the era itself were in the toys very DNA (and despite the fact that it originates from the 1940s!). 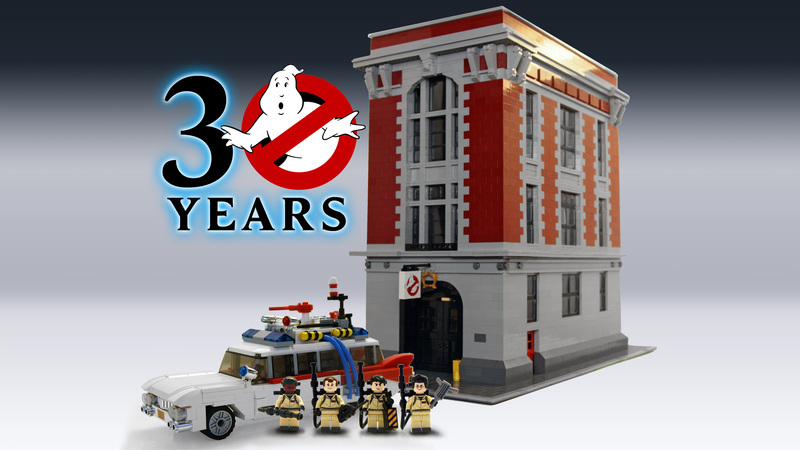 The Lego brand still has quite a strong connection to the 1980s, as evidenced by the products they release each year. There is clearly a base of support from adult fans of Lego who grew up with the toy decades ago, and who are now willing to buy more products – if they continue to echo the aesthetic of the era in which they grew up. Lego’s Star Wars series is the obvious example – a massively popular line of sets, based mainly on films released between 1977 and 1983. Since 1999 when it was first introduced, Lego has released over 400 different Star Wars sets. And have a look at the “Lego Ideas” campaign too. Lego Ideas is about letting members of the public pitch new set ideas, which everyone else can then vote on. If a set gathers 10,000 votes, it qualifies for review by Lego management, who decide if it can be produced and released. At the time of writing, 7 sets have so far been released in this way. And 2 of those were about iconic 1980s films: the “DeLorean” car from “Back To The Future” (1985-1989), and the “ECTO-1” car from Ghostbusters (1984). But even Lego’s regular lines often look a bit retro to me. There’s something very utilitarian and realistic about these sets, that makes me think they would not have looked out of place on a toy shop shelf in the 1980s. The only problem, as always, are those stupid figure faces. And then toss out the ones you get in the sets. 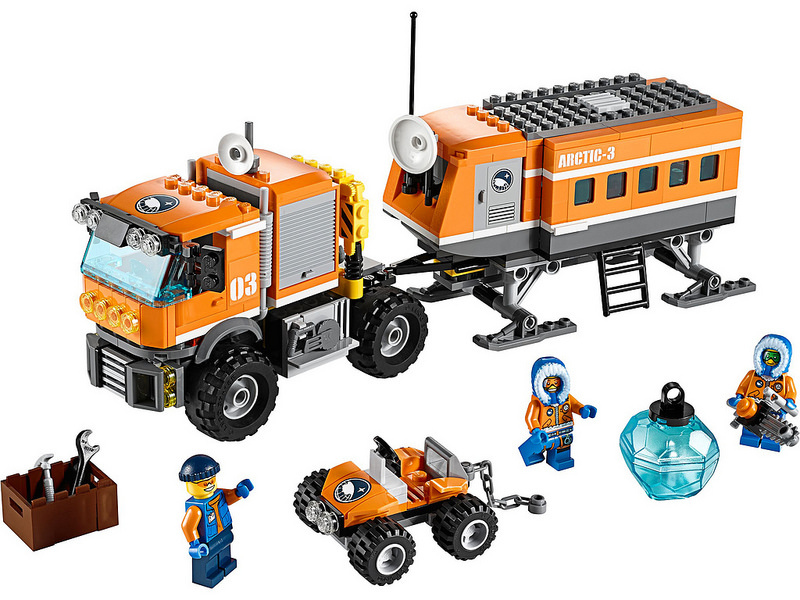 With this in mind, there’s every chance I’ll be buying the entire Arctic series, as well as the Ghostbusters sets. 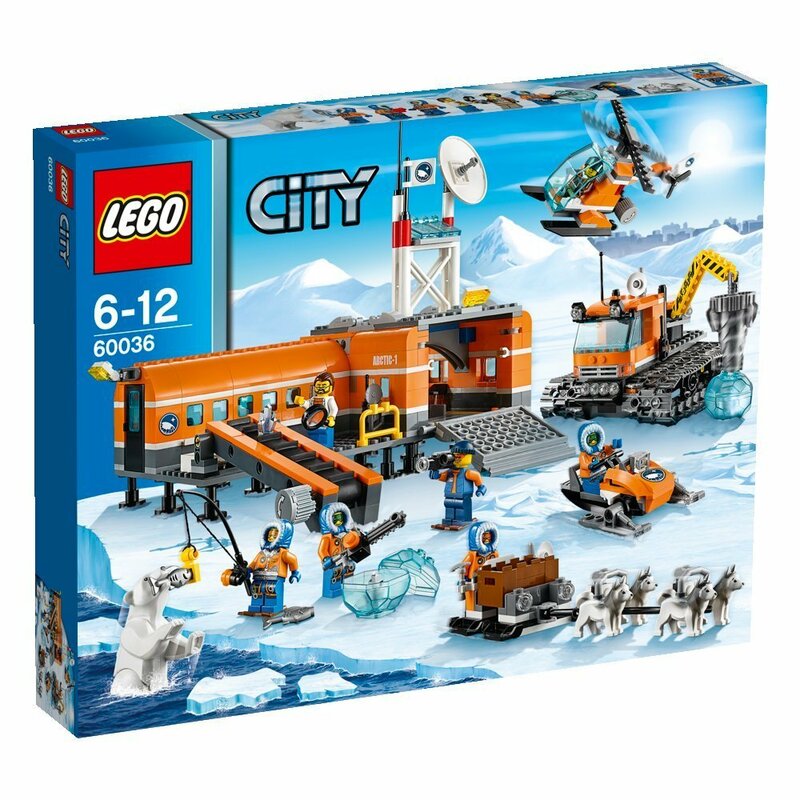 And if Lego keep releasing new sets that have an 80s feel about them, my guess is they will continue to be snapped up by fans of all ages. And finally, at least we can say that Lego is actively looking for ways to release new products that might also appeal to longtime fans and people who grew up enjoying their products back in the 1980s. Unlike say, Tamiya. All they’ve really done in the past decade is try to reissue the same original kits over and over, or otherwise release entirely new kits that have zero retro appeal at all. There have been precious few new Tamiya releases that tapped into the demographic of fans who still deeply associate the brand with their heyday in the 1980s. Lego is one of the few toy brands around whose new releases often still get adults excited. It is eery how closely I think like you do. I enjoy my toys a bit less fierce looking and closer to realism. I don’t seem to recall these angry faces on my old Transformers, but you could tell who was good or bad by their markings, Autobot or Decipticon. 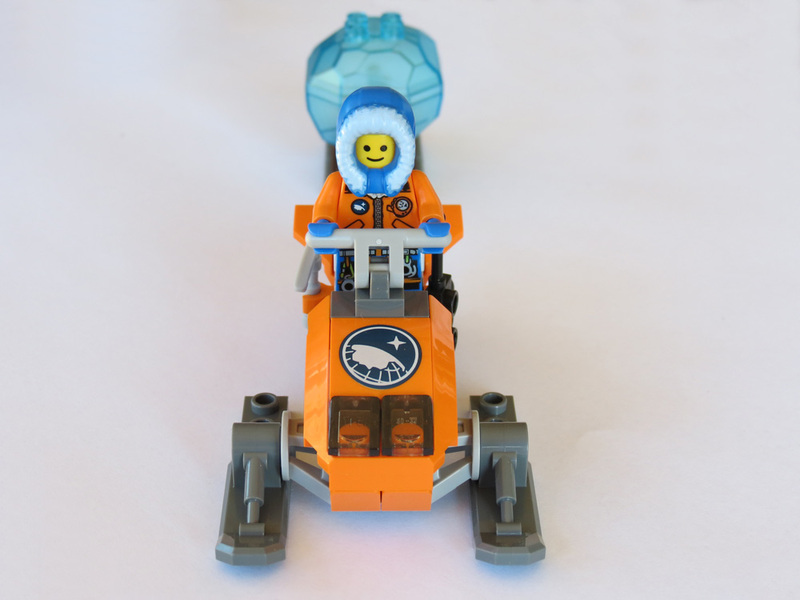 I too agree with Lego’s idea or CUUSOO’s, whichever wants to claim that, for reaching out to builders and enthusiasts and the like in order to develop more toys in a neat package with some smoothing out or tweaks done by Lego themselves. 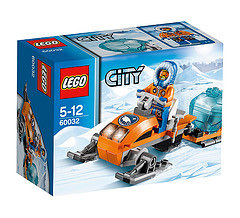 I would suspect there is no real payment for the idea other than some name recognition with the original idea proliferated on the packaging, but since I don’t own any of them, I can’t say I know what goes on when your design is chosen and pushed into production by Lego. I can vaguely remember going with my friend’s son to a “Lego Meet” at a local college where there was a large room filled with their builds and ideas, it was such a nice thing to see in person that these bricks were able to create much more than what is seen on any of its boxes at the local toy store. That was around 2001 or so and I can tell you of other relatives of mine that actually buy and sell bricks by the pound on eBay and other sites as such. I would think there are more folks inventing and building with Lego than there are with Erector set here in the US and Mechano elsewhere. I always enjoy reading your thoughts and ideas on these items you put on review here and I feel like I will always enjoy reading them, so keep them coming. Oh and if Tamiya is reading, perhaps they should hold a VOTE from their buyers and collectors to see what we might like to see put back into production or revised or revamped instead of seemingly re releasing things that are celebrating an anniversary or just however they determine what to put out next. Oh and one more thing BRING BACK FULL BOXART. LOL I just can’t dig any photograph of a built car on the kit box, I mean go look at the static car model aisle at the hobby store, what draws you in more, the pictures of a built or real car or a semi architectural/ cartoon drawing of the car you can build?? For me, it will almost always be the drawing that draws my eye. Tamiya’s reissues are most likely Japan-centric with regard to what they think will make money. Which explains why some odd models like the Fire Dragon were reissued (a model with seemingly minimal popularity outside Japan), as well as the ones that were hits everywhere. It would be nice to see them offer the public a chance to vote. But I would hope one of the voting options was “Would you like us to stop rehashing everything, and start creating completely new models that are constructed with a retro aesthetic?”. If Tamiya created and released *new* buggy kits that were designed with the same materials and aesthetic as the early 80s models, I would buy each and every one. When all they do is keep re-hashing the glories of the past though, like a rock band re-recording all their old singles to lesser effect, I simply have no interest. Tamiya cannot trade on the glories of the past forever. The box art is important, and used to be such an integral part of the Tamiya brand. They still retain it on their reissues (slightly altered), but yes – many new models lack this style. As for photos – if Tamiya is going to do photos as box art, they should take a look at Kyosho, Hirobo, AYK and others in the 1980s, who all used photos even back in those days. The difference being though that those photos were simple, isometric shots that really looked great (see The Scorpion (1982)). Of course, it helped that those old buggies looked a lot better than modern Tamiya buggy releases too. I hate the new stupid faces on Lego. I prefer the classic head (no eyebrows, no whites of the eye; just two black dots and an arch). Unfortunately they don’t sell them anymore (I checked the lego website and did not see them). So I’ll either have to make my own by using the back of the head on the new minifigures, or buy them used. Completely with you there Markus, and “extreme” sums it up – lol. As for those classic heads/faces, some eBay sellers do have stock – check it out.